Purple Marketing | New Client Rebrands! The recent merger of Red Clam and Grantley created a great opportunity to rebrand and raise the profile of Guildford’s elite property sales, letting and finding agency. 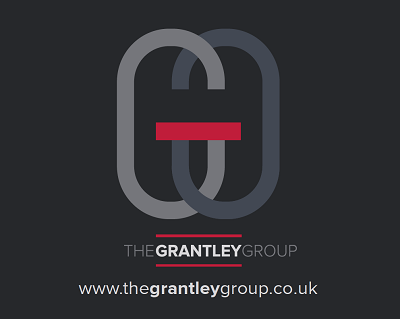 We are delighted to be working with The Grantley Group of companies, who are more than pleased with their new corporate group branding. “The design guys at Purple came up with some great conceptual work and the final result looks absolutely stunning. It’s hugely reflective of our company ethos; it’s bold, simple and innovative with great visual presence. We are very excited about our plans for The Grantley Group and have engaged with Purple Marketing to exploit local marketing and communication opportunities. We offer a wide range of high end property services in the Surrey area and are confident that Debbi and her team will add value to our sales activities and help drive the business to a whole new level.” Said Stephen Frost, Director of The Grantley Group.